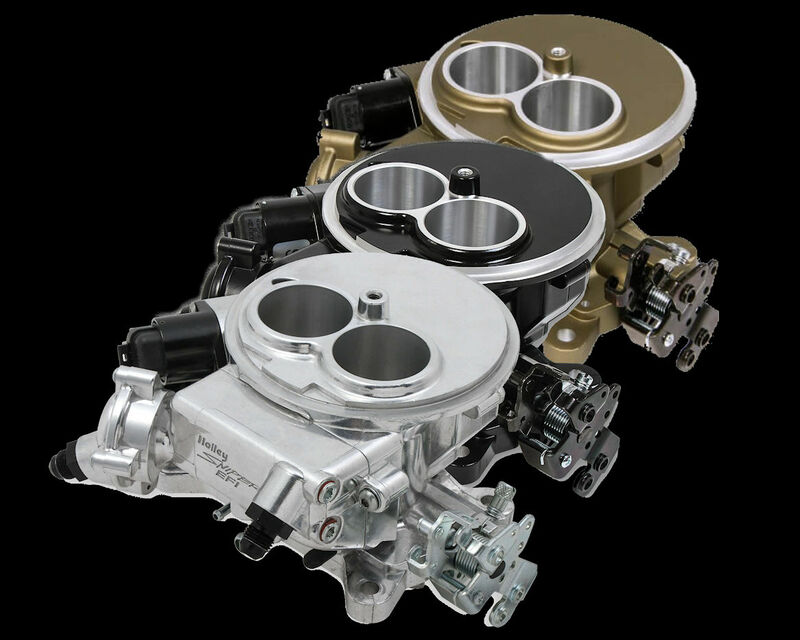 This should erase all doubts you had about EFI! 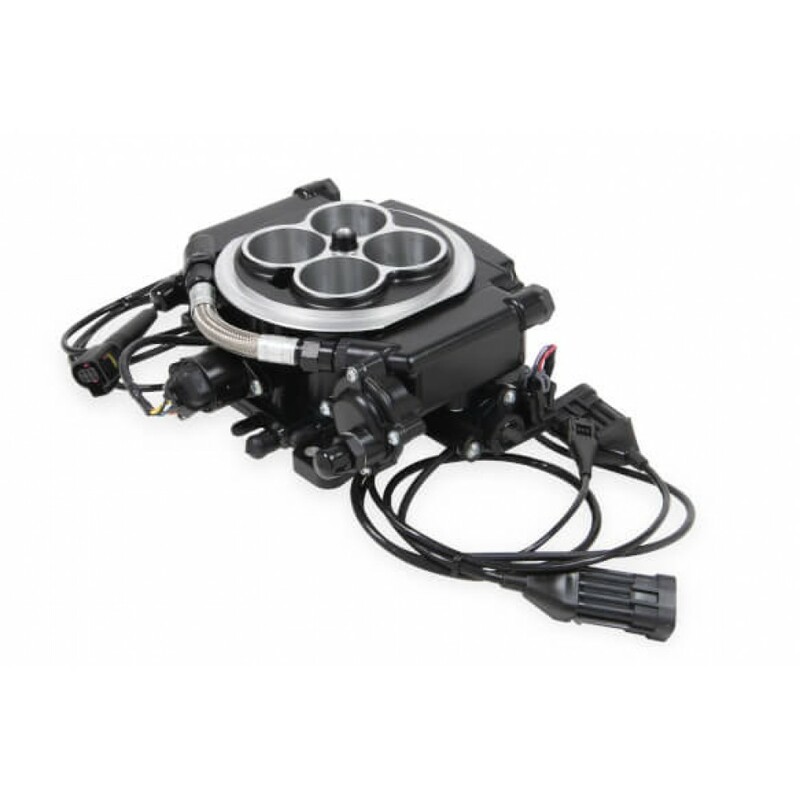 Whether you were holding out because of price or difficulty of setup, the Sniper EFI system kills both of those tired old excuses. 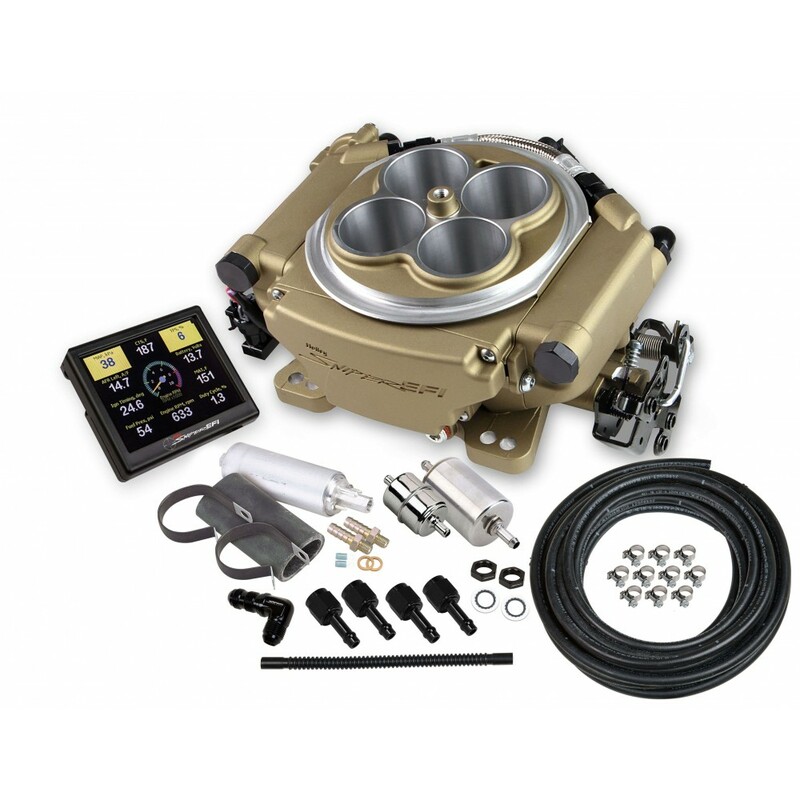 Now you can have all of the benefits of a high-end throttle-body EFI system without laptops, software, tuning, wiring harnesses, or even an ECU box. 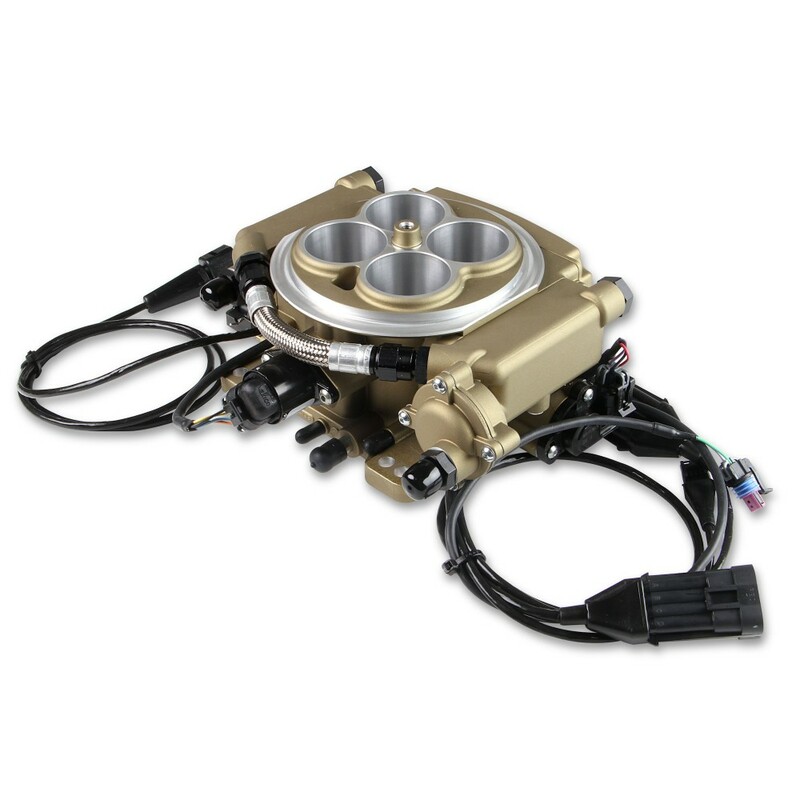 That's right--carburetor simplicity with crisp EFI functionality. Want to simplify both your shopping and installation process? 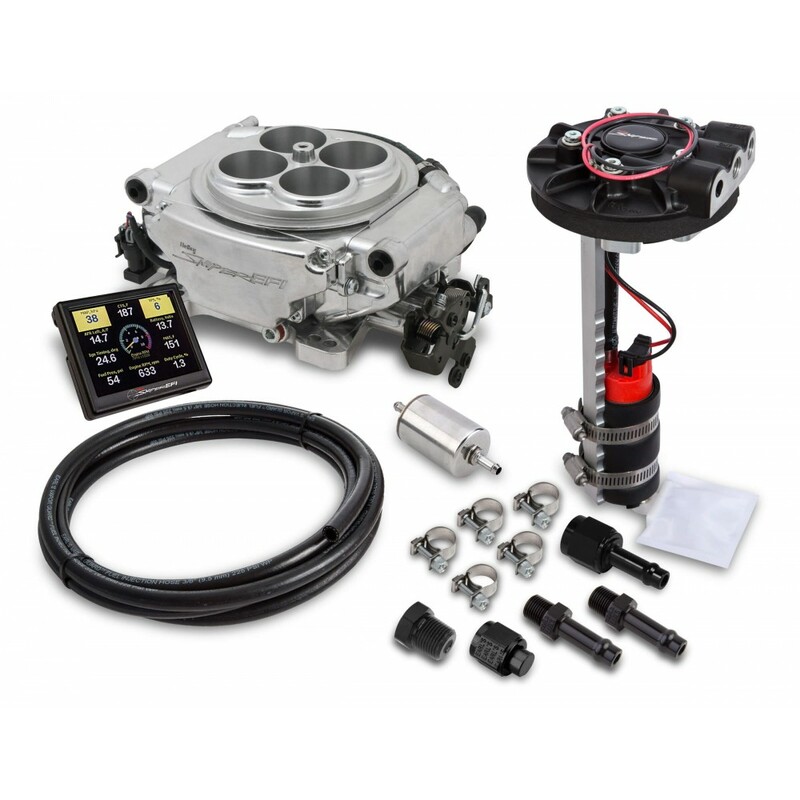 Then opt for the Holley Sniper Master Kit! 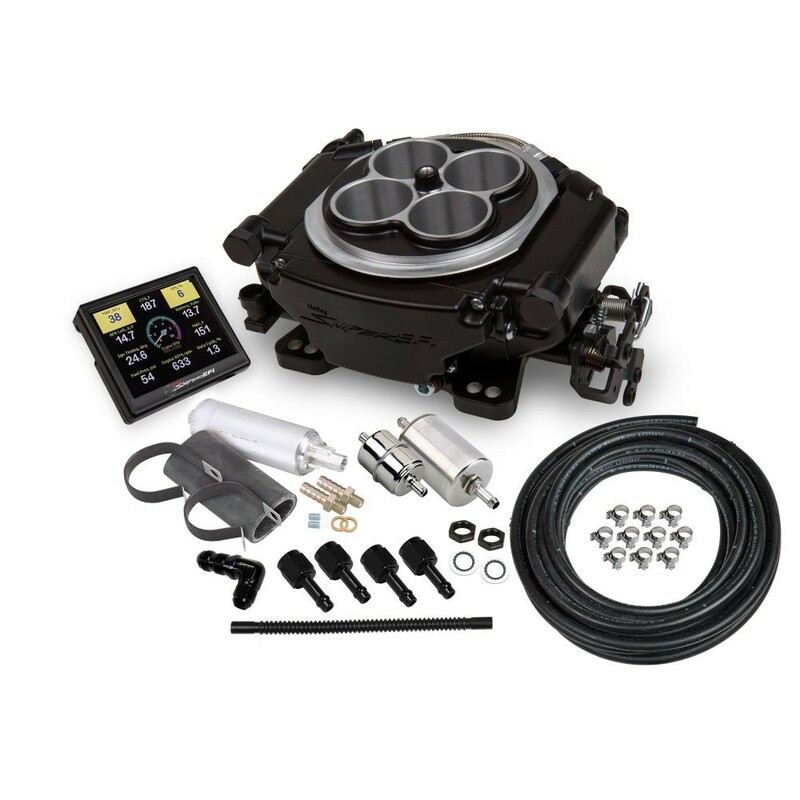 This kit includes virtually everything you will need to convert your carbureted fuel system over to one that will support your new Sniper EFI system: Inline fuel pump, filters, lines, fittings, and more. 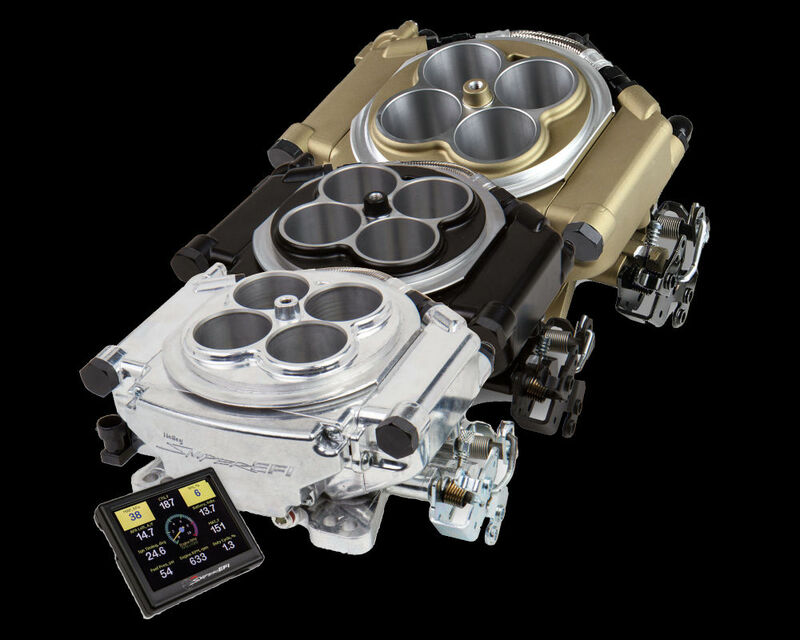 Adding this option means that there is no guessing, no additional shopping--get what you need right in the same box with your Sniper system, as paired by Holley's professional engineering staff. 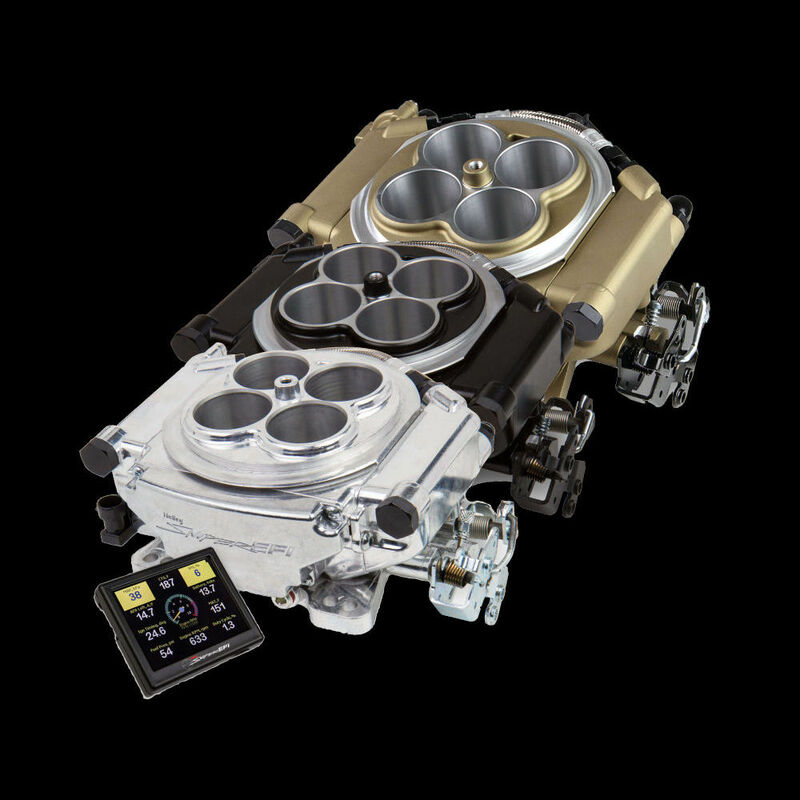 Pardon us as we struggle to contain our excitement about the newly released laptop tuning software exclusively for the Holley Sniper EFI Systems! Hey, what you can access and control via the included 3.5-inch touchscreen display is very impressive. 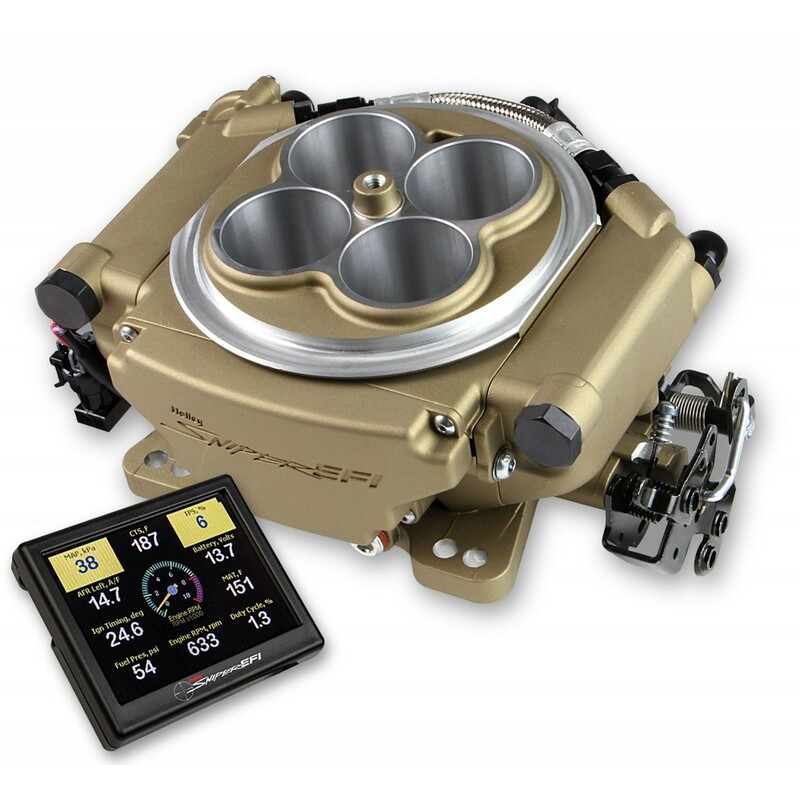 This added software is not necessary for the vast majority of Sniper EFI users. But there are a few folks out there who wanted full-featured tuning capability. Well, here it is! What can you do with the laptop software that you can't do with the handheld? Well, you can tune your Sniper to work with boosted engines up to 1 bar of boost (using the 2-bar map sensor that came on the Sniper.) 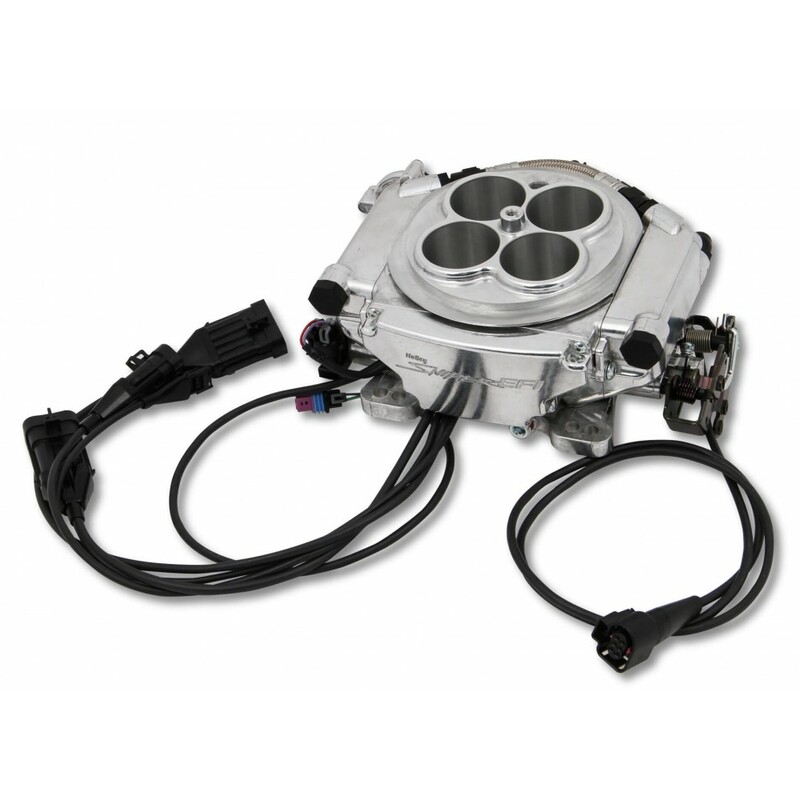 It is important to note that this software deviates from the basic concept of EFI for Everyman. 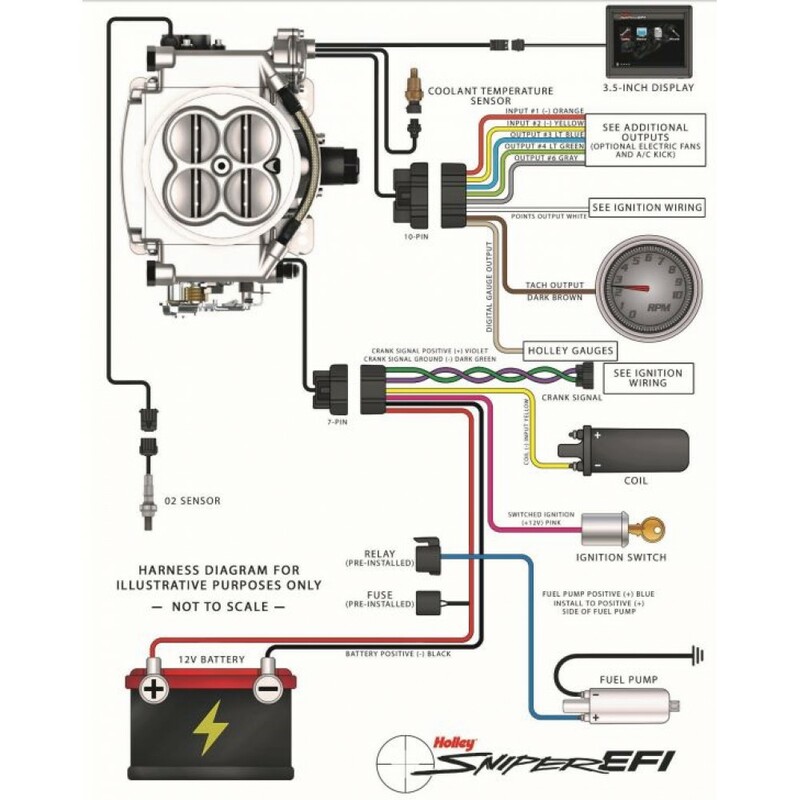 While it is easy to add the USB Dongle, download the Sniper EFI Software, install, connect, and run, learning EFI tuning is challenging to say the least. But for only the cost of the dongle (the software is available at no cost) you can get started. And we here at EFISystemPro.Com are excited to guide you in your learning. Because of the way that Holley created the retail packaging for their Master Kits it more than doubles the size of the box. Although the Master Kit itself only adds 4 lbs to the weight of the shipment, the shipping company charges based on increased size. 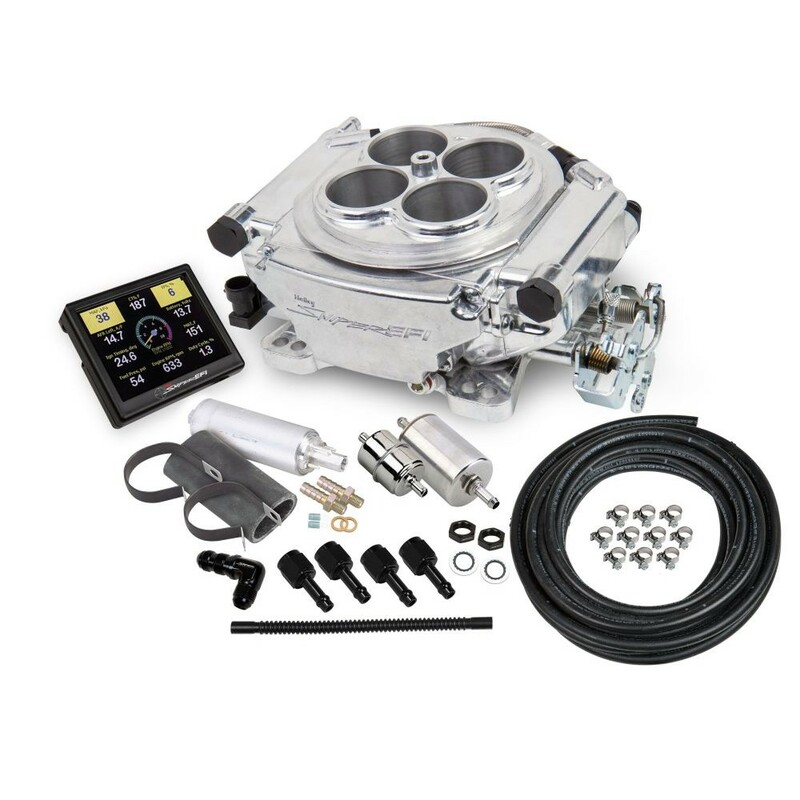 Therefore, as a service to our customers who request express and international shipping of their Holley Sniper EFI Master Kit, we will reduce the size of the shipment by removing the master kit components from their retail packaging. 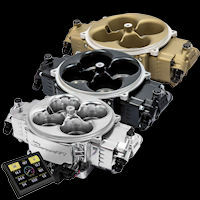 The reduction of shipping cost is automatically reflected in your shopping cart. If you need your express/international shipment to include the original retail packaging, please notify us and we will be happy to do so at the higher cost of shipping. Ground shipments are free, of course, and will include the original retail packaging.